How to spell Beit Hillel (הילל/הלל)? In Pesachim 103a the term בית הילל is used for the normal הלל. This is not the only place in Pesachim. A quick search in sefaria reveals a couple other places in Shas bavli and yerushalmi (about 20 or so places) which also spell it הילל. However, to search בית הלל hundreds of results pop up, as expected. So the question simply is why? In Tanakh, the name Hillel is always found defective: הִלֵּל (Judges 12:13, etc.). This form is also found in the Bar-Kosiba letters recovered at Wadi Murabbaʿat (הלל בן גריס, Mur. 24). MS Parma A and MS Add. 470.1 give both names as defective in this verse. מה שתיקן הילל פרוזבול. ברם כמן דא. מעשרות מדבר תורה. והלל מתקין על דבר תורה. A profusion of Bavli variants also exist. Even in the pericope you cited, Pesachim 103a, the form הילל can be found in manuscripts Vilna, Venice, Munchen 95, T-S F 1(1).55 and Hr. 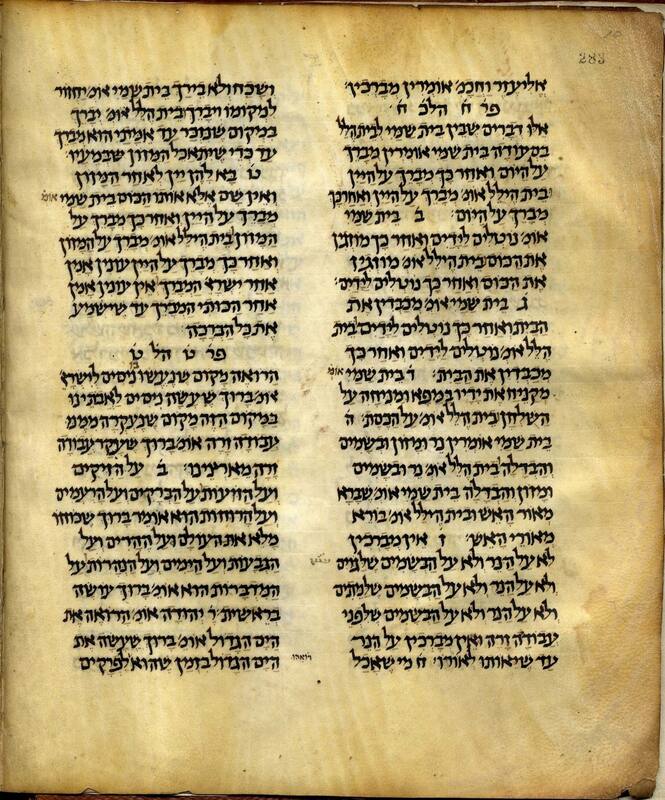 15.37; but in the same section, the form הלל is found in manuscripts Munchen 6, JTS 1608 & 1623, Vatican 125 & 109, Columbia 294–295 and British Library Or. 5530. In sum, Hillel can be found as both הלל or הילל. Plene and defective spellings were used interchangeably in many other cases as well, even in Tanakh, to a certain degree. Obviously, the issue of spelling the name was of little consequence to the scribes of these manuscripts and certainly the spellings do not affect the way the name was pronounced. For the Gemara, I don't know. I can tell you this discussion comes up in the laws of Gittin, though -- how do you spell Hillel in a Get? The common practice is without a Yud, and as the Vilna Gaon points out rather strongly, the name occurs in Tanakh (mentioned briefly in Shoftim) spelled only one way -- no Yud -- which should settle it conclusively. Some, however, say to do it with a Yud, something to do with kabbalah and Gematria and ... I forget the details. Come to think of it ... you could probably check if that explanation fits better with those places in the Gemara ... but it's a stretch. I'd be more inclined to say "printing oddity" when talking about the Gemara. Not the answer you're looking for? Browse other questions tagged talmud-gemara maseches-pesachim spelling-variants . How long did Rav Ashi live? How does “Elokim” (“אלקים”) solve the problem?